Register today - no risk! No cancellation fees. Full money back guarantee! The course will build on your existing user-level knowledge and experience with personal computer (PC) software and operating systems to present fundamental skills and concepts that you will use on the job. In this course, you will acquire the essential skills and information you will need to install, configure, optimize, troubleshoot, upgrade, secure, and perform preventive maintenance on PC and digital device operating systems. The CompTIA A+ (Exam 220-902) course can benefit you in two ways. Whether you work or plan to work in a mobile or corporate environment where you have a high level of face-to-face customer interaction, where client communication and client training are important, or in an environment with limited customer interaction and an emphasis on application, operating system, and security-related activities, this course provides the background knowledge and skills you will require to be a successful A+ technician. It can also assist you if you are preparing to take the CompTIA A+ certification examination, 2016 objectives (exam number 220-902), in order to become a CompTIA A+ Certified Professional. Interface Technical Training is an Authorized CompTIA® Training Partner. This course is designed for individuals who have basic computer user skills and who are interested in obtaining a job as an entry-level IT technician. This course is also designed for students who are seeking the CompTIA A+ certification and who want to prepare for the CompTIA A+ 220-902 Certification Exam. 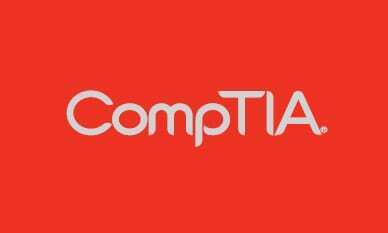 To become CompTIA A+ certified, you need to take and pass both exam 220-901 and 220-902. To ensure your success in this course, you should have basic computer user skills, be able to complete tasks in a Microsoft® Windows® environment, be able to search for, browse, and access information on the Internet, and have basic knowledge of computing concepts. The prerequisites for this course differ significantly from the prerequisites for the CompTIA certification exams. For the most up-to-date information about the exam prerequisites: CompTIA Exam Objectives. In this course, you will install, configure, optimize, troubleshoot, repair, upgrade, and perform preventive maintenance on personal computers, digital devices, and operating systems. "Steve's tremendous knowledge and experience are what makes this class great." "Good use of repeating important facts to make them memorable." "I wouldn't change the content"
"Really did like how Steve gave context and history for all taught materials." "Steve was very knowledgeable and provided many great examples that helped relate the information to real world situations."